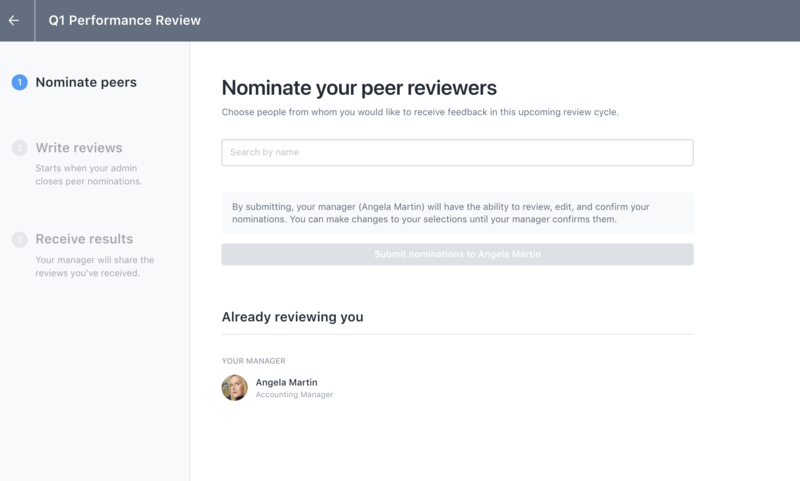 Once the Peer Selection phase of your Review Cycle starts, you'll receive an email notification that it's time for you to select your peers! Step 1: Click on the task "Select Peers"
Think of people that you've worked with closely (other than your manager and direct reports). These selections are people that will be valuable to get feedback from. Step 3: After you've selected your peers, make sure you save and click "Submit!" At this point, your manager will be sent an email notification. 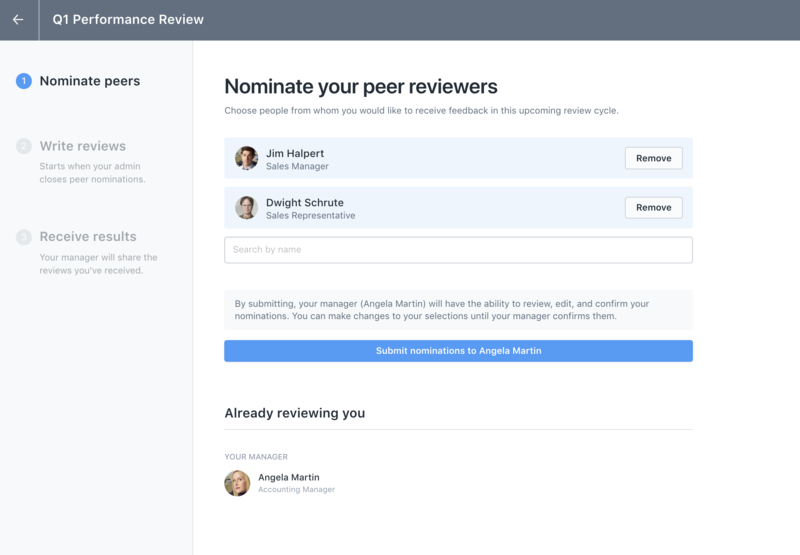 Your manager will be able to approve, add, or remove peers to your Review Cycle.